Have you ever seen an image of a destination and thought to yourself that you would explore the destination one day? I am sure you have done that. Infact, I am sure that you still do it now and then. 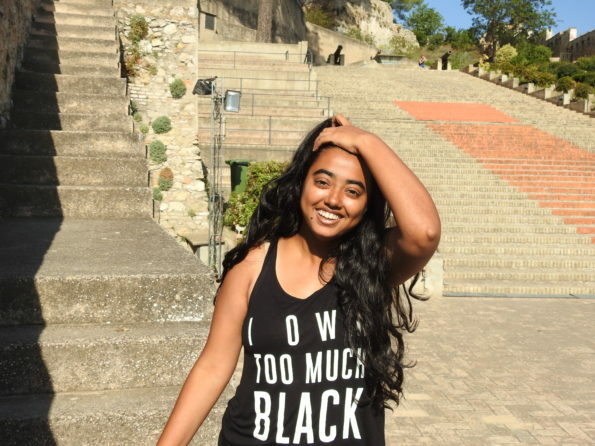 Also, imagine actually going to that place and seeing it for yourself. Something similar happened with me. I came across a photo of this bridge somewhere on social media and all I could go was imagine going to this place and then few years later, there I was, looking at the exact same bridge with my naked eye. I had made it a point to visit Ronda and marvel at Puento Nuevo and that for me guys is absolutely indescribable. The construction of this bridge took more than 30 years to complete and was started in the year 1759 on the Guadalevín River. 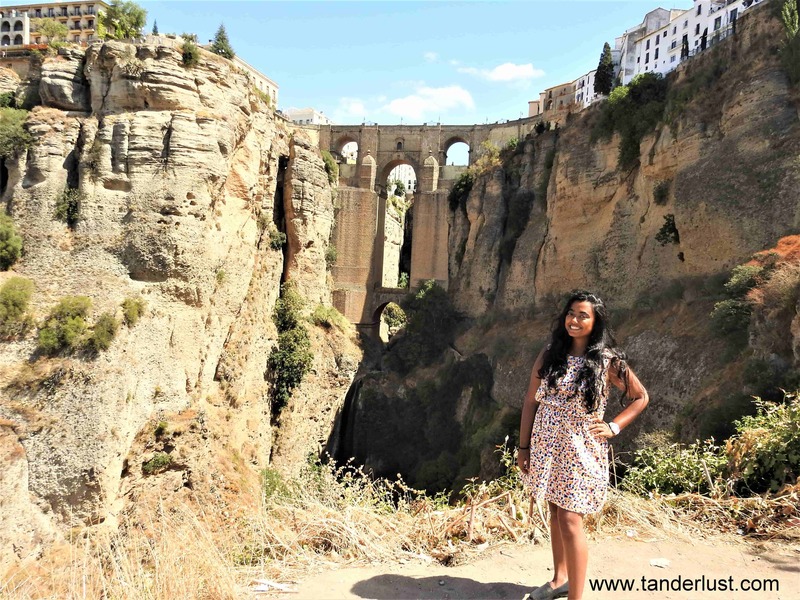 In the olden times, the city of Ronda was developing and becoming more and more crowded due to which the authorities back in those times felt a need to curb the sudden spurt in the population. To discourage more people to settle in the same areas of the city, the authorities added tax which eventually made the people to live outside the limits of Ronda thus leading to its expansion. 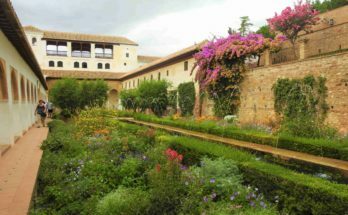 This avoided the concentration of people only in certain areas and the city of Ronda expanded. Ronda was expanded in to two parts i.e The Main City and The market area. 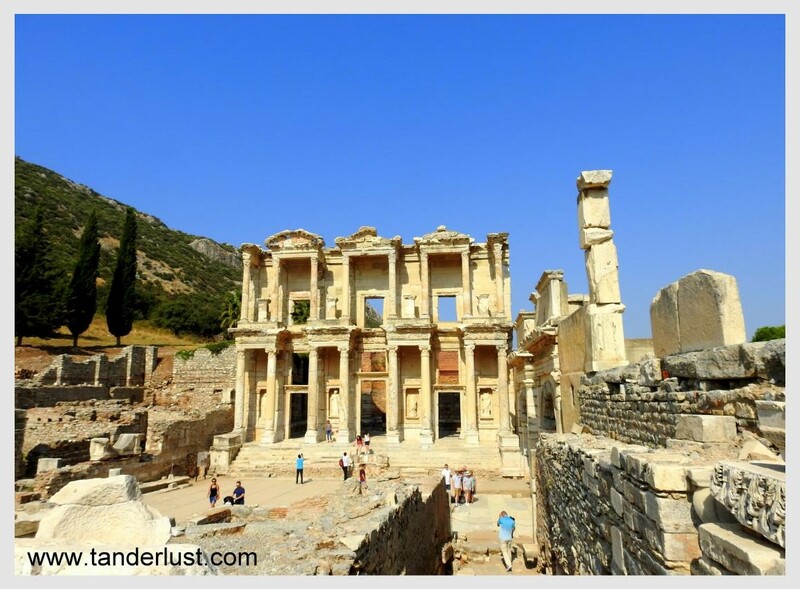 However, there was no direct route that would connect both the Main City & Market area. 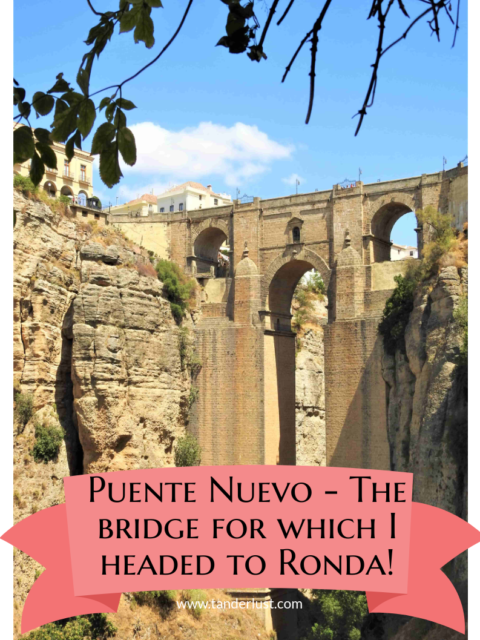 People wishing to go on the other side of Ronda had to always take a long treacherous road and hence a need was felt to build a bridge that would connect both the parts and at the same time make commuting easier for the people of Ronda. This is how the entire idea of building this bridge came into existence. 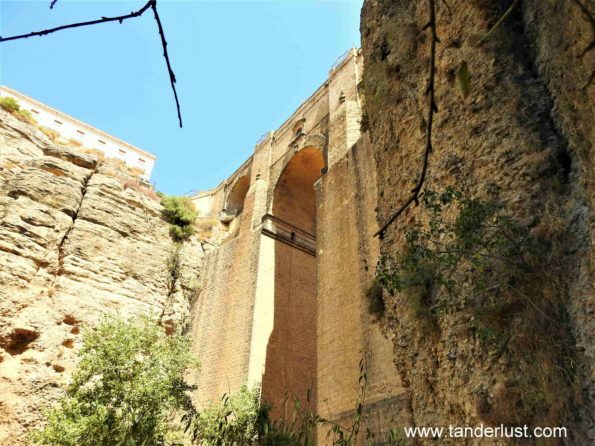 On reaching the city of Ronda, you will find yourself in the Main City from where you will have to cross this bridge and head straight into the Main Market. From the Main Market you will find a small route that will take you to a mountain that you will need to descend at first to get a good view of the bridge from afar. Later on walking towards the bridge from the viewpoint will bring you straight at the bottom of the bridge near the Guadalevín River . During the construction of the bridge, a chamber was built beneath the central arch that was used as a prison in earlier days. You can enter this area via a square building which was once the guard-house. Today that prison no longer exists and is converted into an exhibition center/museum where visitors can gain more information about the bridge’s history and construction for an entrance fee of 3 euro. 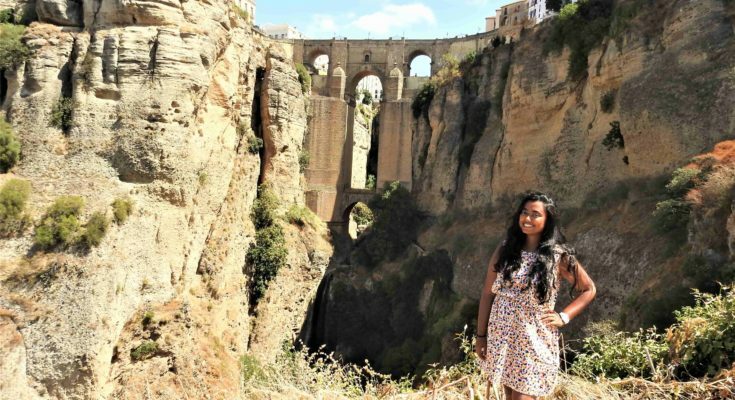 Although, the construction of this bridge was an advantage for the people of Ronda. It also attracted the disadvantages mainly deaths. Throughout the history of Puente Nuevo, Accidents, suicide and summary execution are the most common forms of death that usually occurs due to the bridge being built at such a height. 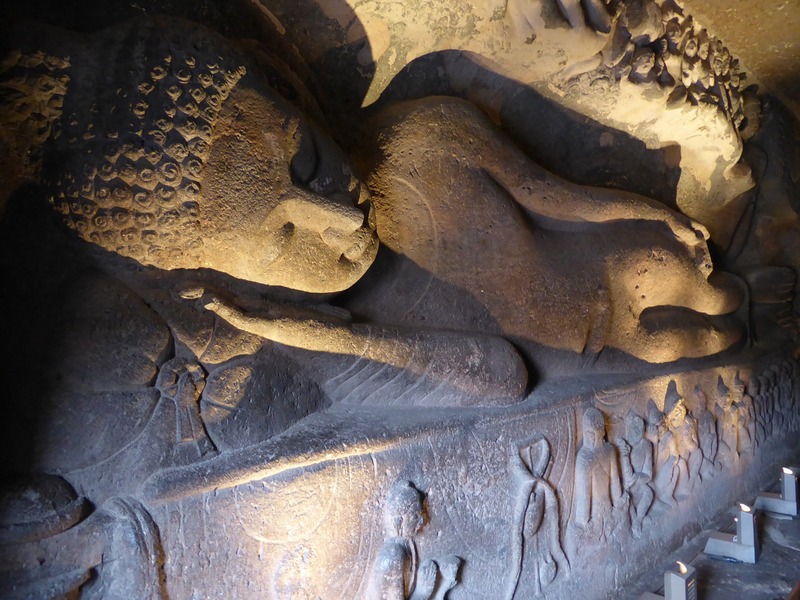 Many a captive fell, or were pushed to death from the prison beneath the central arch. Suicides and accidents remain common – the latter often resulting from ill-advised attempts to lean over that extra inch to take a spectacular photograph of the valley below. Having said all of that, still the architecture of this bridge is absolutely stunning and one can only imagine how such a bridge was constructed back in those times. Today the bridge is able to bear the weight of people as well as vehicles and also provides stunning views of the city. 2) In Ronda you can shop for different types of souvenirs and traditional clothing items. 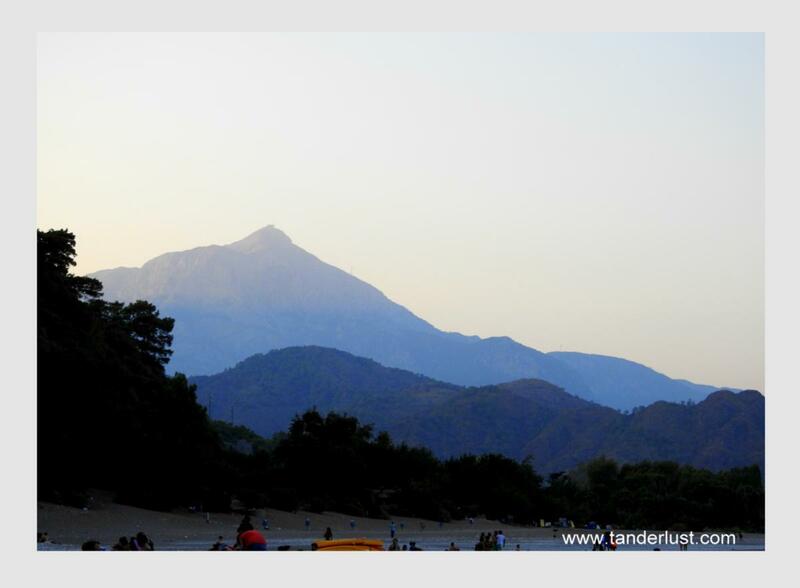 3) As Ronda is located on the hills there are many points from where there are chances of falling in the valley especially if you lean, hence make sure to be careful while you are near to such high points. 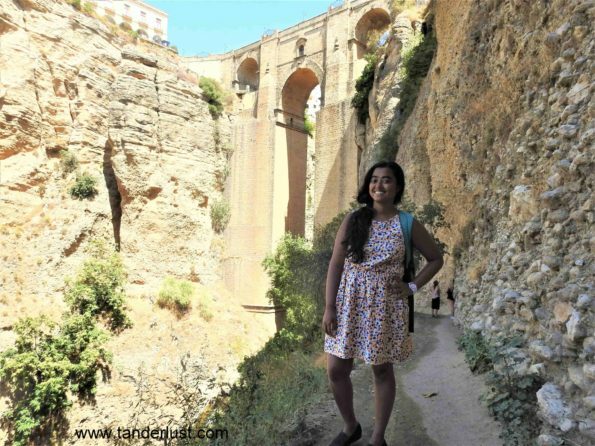 4) Ronda is poorly connected when it comes to transport and hence the best way to reach here is by bus (especially from Malaga and Seville). There are trains however, they are scarce. 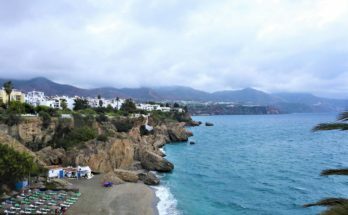 Previous Article Nerja – A day trip that took me by surprise! 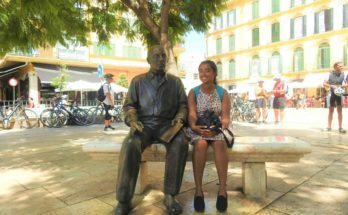 Next Article Malaga: The City of Picasso!